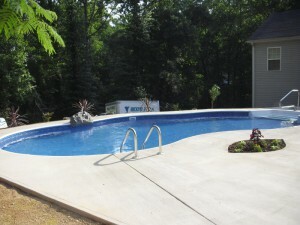 We serve the Spartanburg area with a variety of swimming pool parts and accessories, including swimming pool filters. Swimming Pool Filters in Spartanburg – There isn’t a great mystery when it comes to keeping your Spartanburg, South Carolina pool’s water sparkling and clean. It just takes keeping an eye on the water chemical balance and the swimming pool filters. Swimming pool filters need to be cleaned regularly, and they also need to be replaced when they are no longer performing well. At Ricky’s Pools, we offer a variety of parts and services that you need so you can best enjoy your pool. We do swimming pool water testing, provide pool chemicals and parts, and we have all the types of swimming pool filters, so you can replace your worn-out one as needed. Let us help you by providing quality swimming pool filters and the proper chemicals to keep your pool water safe. We have supplies for both in-ground and above ground pools, as well as for commercial pools. We have provided our services and parts, such as swimming pool filters, since 1990, becoming a trusted source for all your swimming pool needs. Contact us today with any questions you may have.